Edit and Re-submit Response feature lets your survey takers edit any response, on any second thoughts, and resubmit the survey. In the Survey Builder page, click on Survey Settings. 2. Under the Access section, you will find “Allow Users to Edit and Resubmit Response option.” Tick the box. 3. 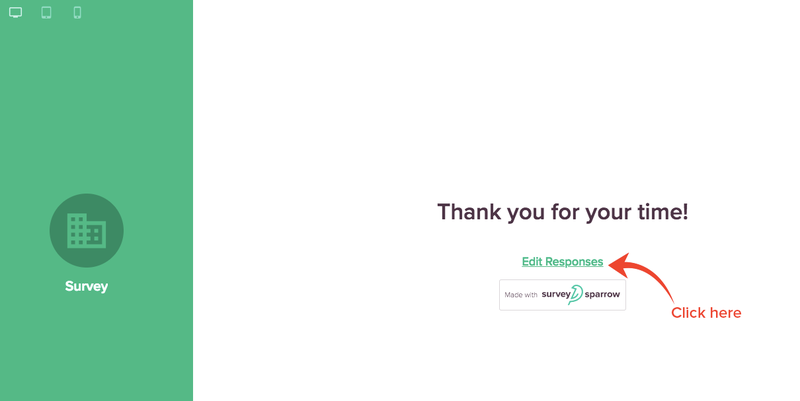 Your users can now edit and resubmit their responses.